As one of the largest suppliers of ground level storage containers on the East Coast, we spend a fair amount of time on construction sites, talking to people in the construction industry. Across the board, increasing construction site productivity is on every owner, stakeholder, foreman, and supervisor’s mind. At TP Trailers & Truck Equipment, we’re all about helping to increase efficiency for every industry we serve: from landscaping, to trucking, to construction. We know the way our storage units and construction trailers boost efficiency — and we have some other tips to share, too. People who don’t work in or around the construction industry often underestimate the astronomical amount of planning that goes into a single project. Having a comfortable and well-equipped place to do that planning can increase your personal productivity. Available for both sale and rental, TP Trailers’ mobile offices can be customized to meet the needs of you and your management team. Like all containers, these mobile office containers are impervious to the elements. 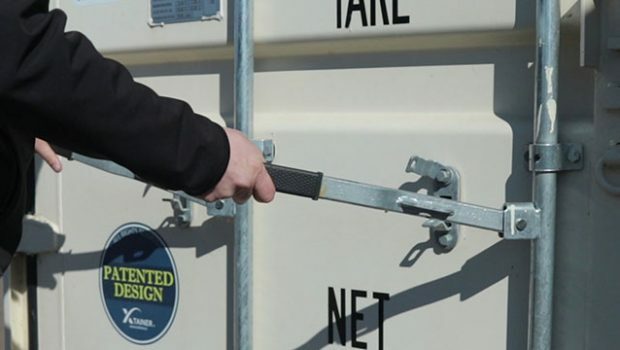 Since we know you need one less thing to worry about, TP Trailers includes delivery and set up as part of your price when buying or renting a mobile office container. No matter what you’re building, whether it’s one house or a shopping center, you almost certainly have project milestones and the dates you need to meet them. Whether these milestones are contractually pre-set or just the guidelines in your own mind, sharing them with your team can increase construction site productivity. Letting your team know about the milestones allows them to feel respected and invested in the project. In addition, if your teams are aware of individual milestones, they may be able to keep you aware of issues that may jeopardize progress. Another benefit of keeping teams aware of your milestones is that you can offer incentives when they meet or exceed your deadlines. By providing small rewards for meeting their goals, you can keep the team motivated to meet your goals. Good incentives can be anything from gift cards for gas to a few boxes of donuts. In a lot of ways, the incentive is more about recognizing achievement than giving a pricey gift. Make sure that everyone who works together is aware of each other’s progress and schedules. This especially holds true when working on an extremely tight deadline. This is one of the hardest but most important ways to increase construction site productivity. Even if the work seems somewhat unrelated, by keeping abreast of the other contractors’ schedules, you may be able to find new ways to save time. You can often accomplish this by shuffling your own schedule or by having two crews work simultaneously, side-by-side. On the other hand, when you keep an open line of communication between teams and companies, you can predict and prevent issues that can cause a shutdown. 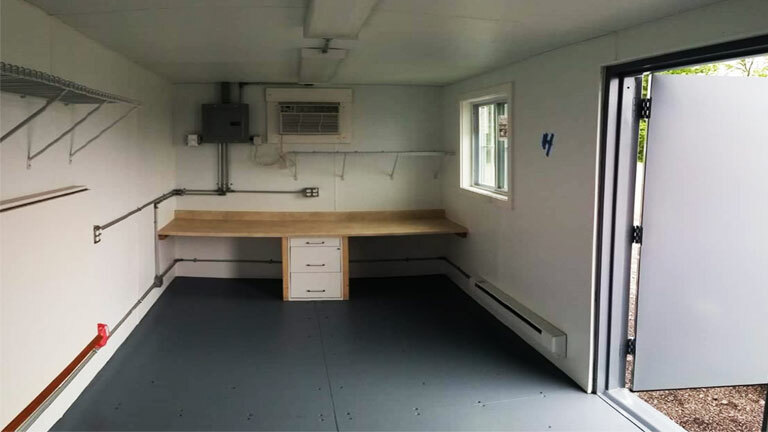 Being able to hold these project management meetings in your comfortable mobile office container is just another reason to bring one to every jobsite. Don’t just check the weather every morning when you get up — keep track of the extended forecast. We recommend subscribing to multiple weather services so that you can have the greatest visibility on what the weather is going to look like. You may be able to rearrange the construction schedules to ensure that inclement weather doesn’t derail the project as a whole. Keeping the extra parts and machinery you’ll need on-site can increase your construction site productivity. You’ll spare yourself having to go back to the warehouse to get it — and the delay while you’re gone. TP Trailers storage containers are wind and water tight, designed to keep whatever you’re storing on the inside protected and dry. We also customize the containers to meet your needs. 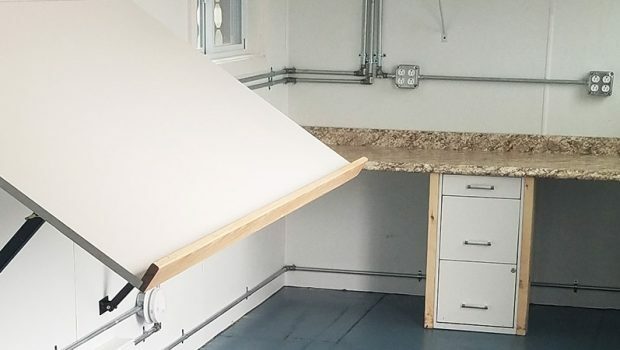 Our custom storage containers can include a variety of construction industry specific options, such as pipe racks, shelving, and ramps for loading and unloading equipment. While there are plenty of good reasons to have decent facilities on site, one of the biggest reasons is how it can increase your construction site productivity. When you don’t offer facilities or your workers don’t like them, they go off-site to find a restroom. This extra time off-site can add up quickly. Investing in a decent portable restroom is recommended. Simply put, knowing the status of your project is crucial to ensuring the success of it. Talking to your foreman is a good way to understand the overall progress, but talking to workers can help you find a different set of problems that may be slowing down the project. We’re one of the area’s best-known suppliers of storage containers and mobile offices for a reason. 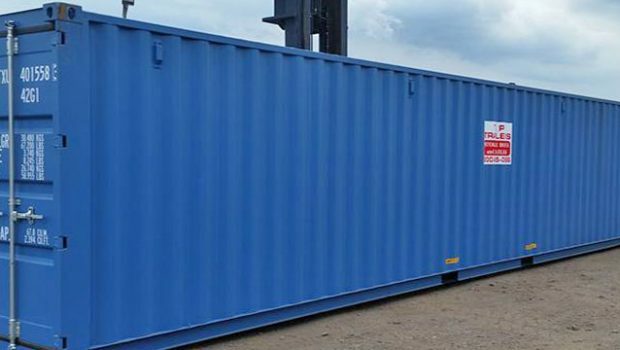 We offer a wide variety of fully customizable storage units and mobile office containers at a fair price. We make working with us easy — we handle delivery and set up. Contact us today to get a quote for a storage container or mobile office. Very knowedgeable staff. Had trailer, color and in stock. They installed a brake controller right away while I waited. Was looking for a 14' trailer--drove out with a 16' with a very good price. Will be a returning customer. Two thumbs up!